If you’ve ever wondered: How can I reverse damage after getting a hair colour? Then, you are at the right place. In fact, what may seem impossible at first is very much doable. Yes, time and patience will be consumed. 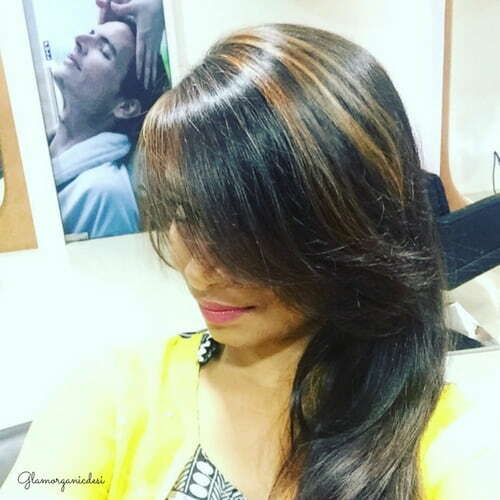 Here’s Bangalore-based Bhagyashree’s organic hair care journey to softer and healthier hair AFTER hair colour. Somewhere in mid 2017 (How amazingly my memory deserts me when I need it the most!) Bhagyashree messaged me on Instagram. And I knew instantly that her hair would be incredibly dry, unruly and frizzy. Shortage of time posed a hindrance. A major one at that. Why? Because by now, her hair problems had tripled. Hair fall, hair thinning and frizz started knocking on the doors. “I can’t compromise on the ingredients or time duration. 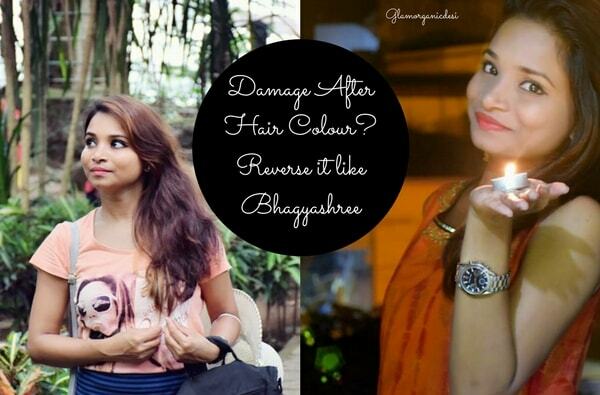 Hair damage is quite deep”, I told Bhagyashree point-blank. Call a spade a spade! Squeeze time, break up with laziness and set practically achievable expectations. A few minutes of silence prevailed. Just when I was about to sign off, she responded to go in for it. Her organic hair care routine was prepped. 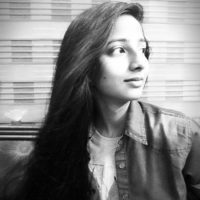 Bhagyashree’s plan of action was readied. She didn’t ask me to abridge it. After all, she knew deep down that only an exhaustive routine could do the trick. I remember Bhagyashree’s words exactly. With her coloured dry and frizzy hair by now looking comparatively smooth, shiny and relaxed, I knew it – It’ll work. It’s just a matter of continuity now. By the 2nd and 3rd week, frizz came under control very well. 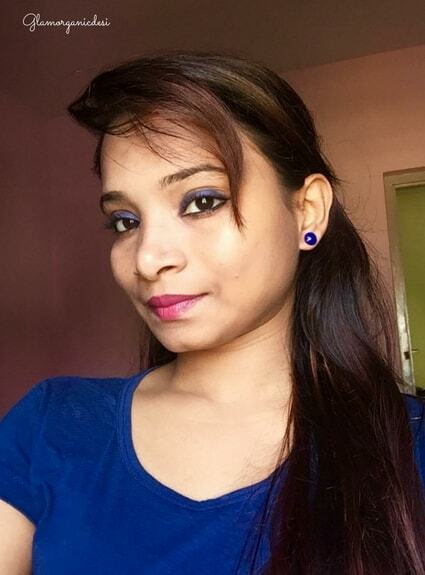 Soon with my hair colour fading, not only did my hair started turning smooth all thanks to the organic routine but also its colour started reverting back to black – my original hair colour. Here’s how her hair looks as of January 2018. She trimmed her hair because the ends were too damaged to repair. 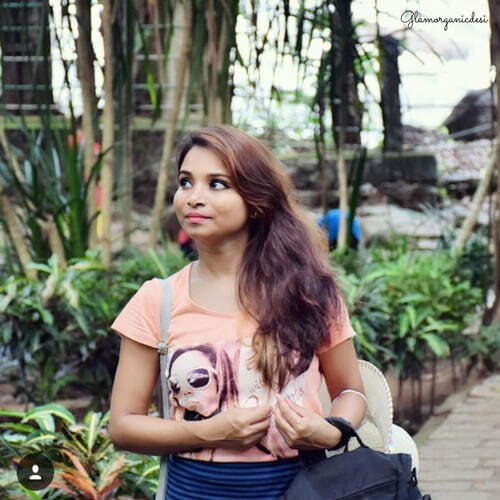 Find out how Bhagyashree’s overall experience was! Q: Let everything out about your hair history. A: My hair type is normal. Scalp becomes oily after 2-3 days of hair wash.
My hair was naturally smooth, jet black and silky. Everything went in for a toss when I opted for hair colour. In fact, my hair has been coloured 3 times. Obviously that left them as dry as a broom, rough and frizzy. Then, started acute hair fall which further caused hair thinning. Q: Did you use any DIYs before? A: I had tried my hands at DIYing with curd, eggs, coconut oil (Buy here) and all that but couldn’t figure out what works for me exactly. 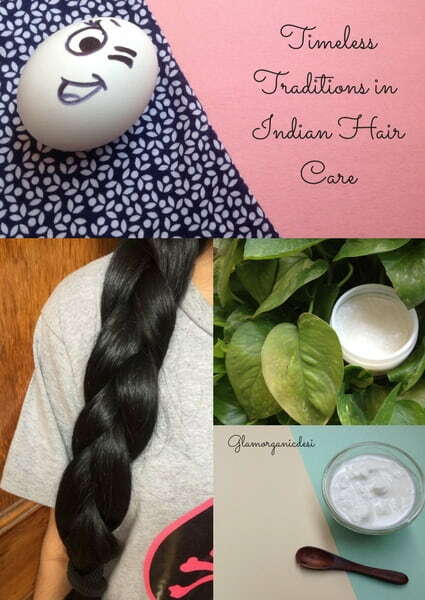 Q: How did you find your organic hair care routine the first time you went through it? But then I knew my hair problems were serious. Unless I go in for the kill, there won’t be any effect. We modified a few elements in my routine to make it suit my hair better. Once that was worked out, everything fell in place. Right from the first application to the most recent one, I am stoked. Compliments have poured in since then! 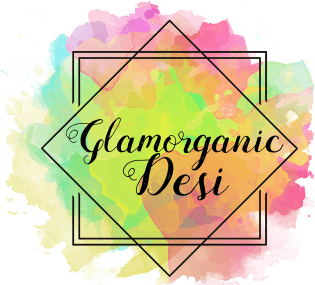 Q: Rate your experience of going organic with Glamorganicdesi on a scale of 0-10. This was tough. Really tough. Chemically treated hair gives me jitters. If you’d not have been as dedicated and cooperative as you were we may not have achieved even 5% of the results. Brownie points for not chucking the whole process despite its size. 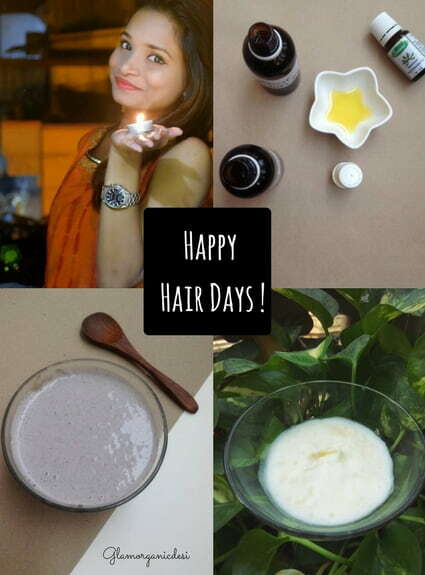 Your hair is back on track…Finally! 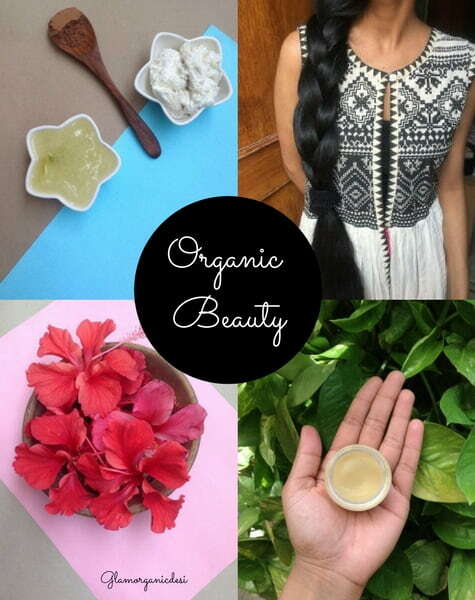 Want to detoxify your skin or hair organically? Here’s what you need to go through! 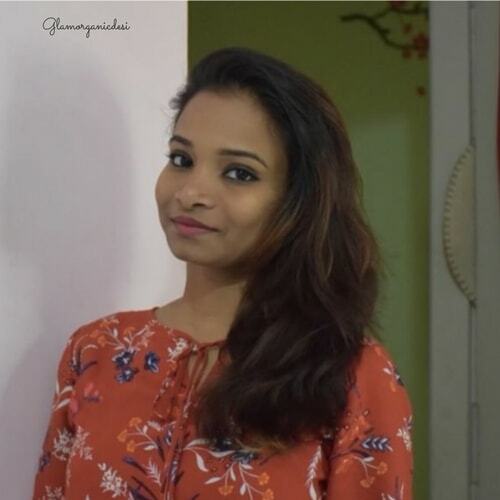 Great results.i have a question for you..i have dandruff and flaky scalp with dry hair..i have been following your diy’s for some time now and do see positive results..i have been using sls free shampoo since 2 years now and since you always say good things about aroma essentials and bon organic, i thought of giving it a try..which one would you recommend for my hair type.. thankyou. 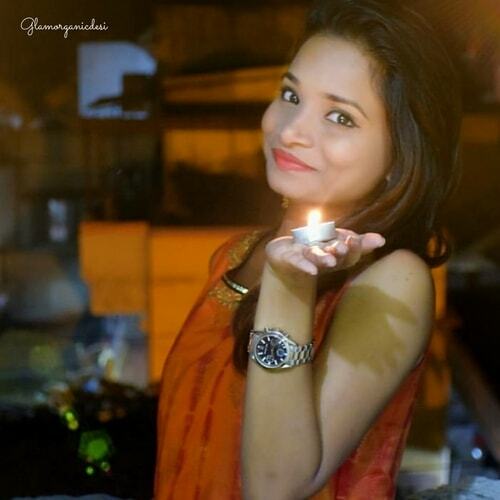 I am delighted to know that you are able to see positive results out of the DIYs featured. Coming to the shampoo, in terms of convenience of course BON Organics wins hands down. Aroma Essentials shampoos require a fair amount of “practise” for usage. You need to add the right amount of water, whip manually for a good 7-8 mins and only then will its texture be worth applying. As of now, I’d suggest you opt for BON Organics. If shampoos are not applied or rinsed properly, the entire routine goes down the drain. 22 years on this planet & counting. Old soul. Cinephile. Paradox. I like attention. I step back when I get it. Crowds enthrall me. They exhaust me too. Villains > Heroes. AR Rahman's melodies + Rumi's Shams + Uninterrupted rain = Dimaag Ka Detox. Desi by nature. 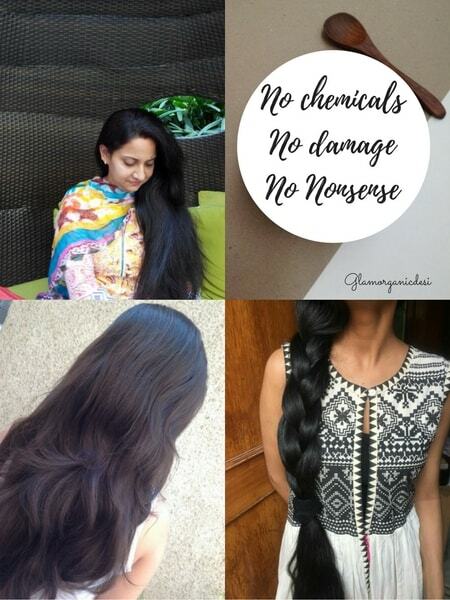 Mashup of many qualities (+vices as my mother says), I am the nutcase behind Glamorganicdesi.